Should you buy the Asus ROG Strix RTX 2080? I’m in awe of Asus ROG Strix RTX 2080’s massive, potent custom cooling solution. It delivers truly awesome cooling, or the quietest high-end graphics card experience we’ve ever heard. Pick your poison. I’d select the Quiet BIOS and I wish it were the default; the lower temperatures are impressive indeed, but realistically, they’re just smaller numbers on the screen. A whisper-quiet graphics card improves your entire gaming experience, and you get it with no performance loss. 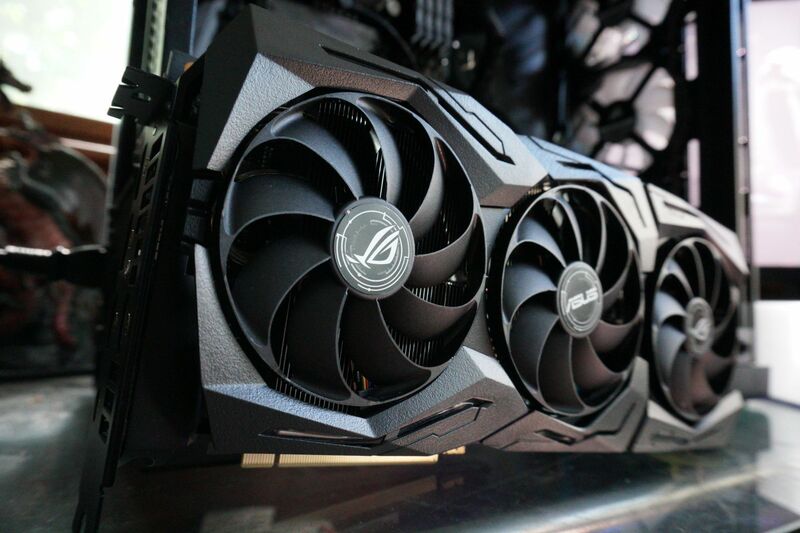 So should you buy the Asus ROG Strix RTX 2080? It’s a multi-step question. First, you’ll need to decide whether you want to buy an RTX 2080 over an overclocked GTX 1080 Ti to begin with. (Asus’ own ROG Strix GTX 1080 Ti costs $720 on NeweggRemove non-product link with a free copy of Call of Duty: Black Ops 4 thrown in.) The two GPUs trade blows and unlock the same 1440p/144Hz or 4K/60 experience in traditional games. The RTX 2080 costs more but whispers promises of a brighter future, with improved performance in HDR titles and the dedicated RT and tensor core hardware necessary to unlock real-time ray tracing, Deep Level Super Sampling, and other futuristic technologies. The GTX 1080 Ti lacks those awesome capabilities. Ray tracing and DLSS aren’t available in games shipping today, though. Early demos seem very promising indeed, but we have no idea when they’ll pick up steam. Nvidia has dozens of games lined up for RTX support with no timetable for any of them. Bottom line: If you buy an RTX 2080 over a GTX 1080 Ti today, you’re taking a leap of faith and investing extra money in those promises for the future. Whether that’s worthwhile is up to you. Our GeForce RTX 2080 vs. GTX 1080 Ti comparison can help you break down the decision in finer detail. If you’re in the market for an RTX 2080, Nvidia’s Founders Edition ($799 at Best Buy or GeForce.com) sets a high bar. It’s gorgeously designed, overclocked, and much cooler and quieter than previous generations were. The ROG Strix RTX 2080’s gargantuan cooler outclasses it, though. While the massive (literally) cooling improvements fail to deliver much of a boost in gaming frame rates, at only around 3 percent, the ROG Strix runs a whopping 12 degrees Celsius cooler than the Founders Edition, or virtually silent at the same temperatures as the FE if you enable the Quiet BIOS. The Asus ROG Strix RTX 2080 beats the Nvidia RTX 2080 Founders Edition in every way. Well, except for price. At $870 on NeweggRemove non-product link, the Asus ROG Strix RTX 2080 is the most expensive RTX 2080 listed on Newegg, and by a fair margin. 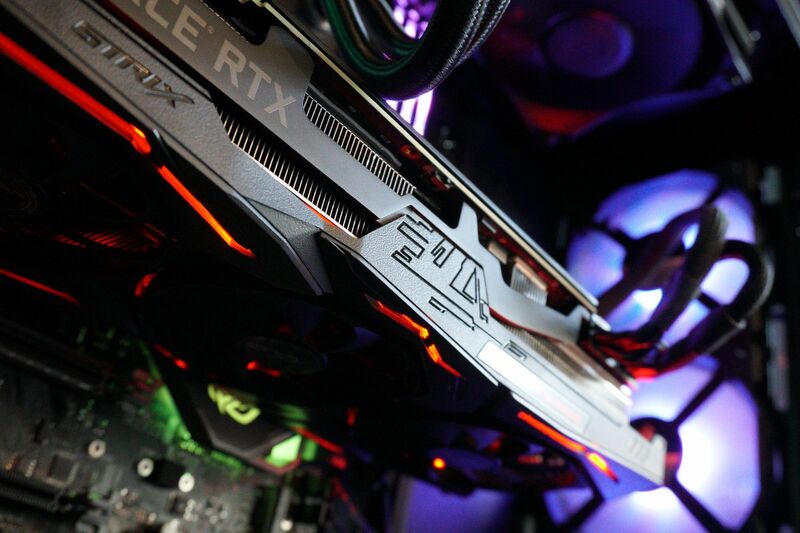 Other high-end RTX 2080 graphics cards by EVGARemove non-product link and MSIRemove non-product link top out at $850, and no RTX 2080 models come anywhere near the $700 starting MSRP cited by Nvidia. We haven’t had an opportunity to test other custom models yet, but based on our thermal and acoustic tests, there’s no doubt that the ROG Strix will wind up being one of the more impressive custom cooling solutions this generation. If the idea of a nearly silent or ice-cold gaming experience appeals to you, the ROG Strix RTX 2080 comes highly recommended—much more so if noise levels are important to you. This beast is quiet. 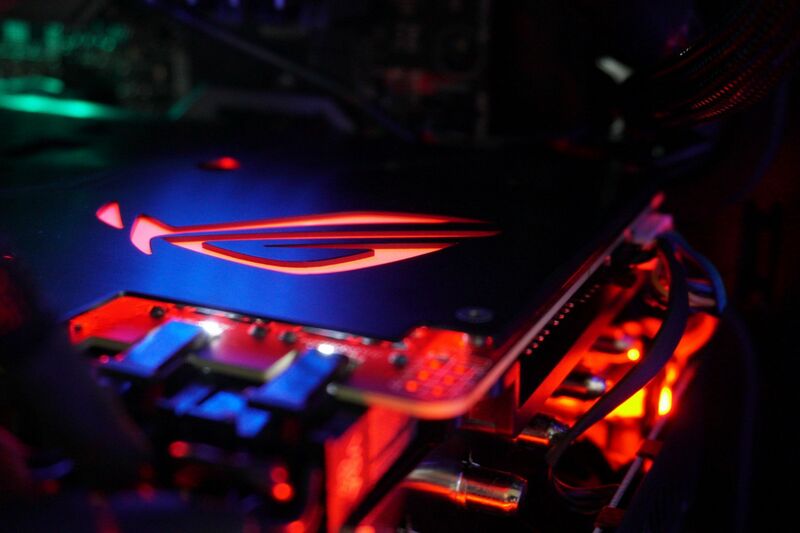 But with such a minor performance increase over the Founders Edition model, the ROG Strix RTX 2080 would be much easier to swallow if Asus shaved $20 or $40 off the sticker price. The powerful, massive Asus ROG Strix RTX 2080 lets you choose between chilly temperatures or near-silent operation, outclassing the Nvidia Founders Edition in every way. It's huge and very pricey, though. Stuffed with features: Dual BIOS, RGB and fan headers, etc.